As per RBI norms, the GST is applicable as per travellers. This amount is calculated considering one traveller. You can further add/edit travellers in preconfirmation page which can impact the total amount. You may block foreign currency by paying 4% of total transaction value. This blocked rate will be valid for 2 working days. Their is something is wrong with field, Please fix before proceeding. There is something wrong with field. Please fix before proceeding. There is no quote associated with given Mobile no and Email id. In case of a solo traveller, you can change the mode of carrying your foreign exchange to Forex Card or Travellers Cheque. In case of a solo traveller, you can change the mode of carrying your foreign exchange to Forex Card or Travellers Cheque. In case of multiple travellers, your cash will be split amongst the number of people you are travelling with. In case of multiple travellers, your cash will be split amongst the number of people you are travelling with. Online money transfers are on the rise today. In today’s ever-evolving world, boundaries are beginning to blur. Owing to globalization and digitization, people are getting global exposure along with various opportunities to study and work abroad. What’s constant is the requirement of foreign exchange. While forex is constant, the way you can obtain foreign currency has progressed and has become simpler than ever before. If you want to send money abroad or remit money to India, then you have arrived at the right destination. At Thomas Cook, we firmly believe in empowering you to seize every opportunity that comes your way. Whether you are a business or a leisure traveler, we offer the best deals on flights, hotels, foreign exchange and online money transfer. If you thought doing an international online money transfer was an expensive affair, then think again. Thomas Cook offers an efficient remittance service that allows you to carry out online money transfer from the comfort of your home. That’s not all. It is one of the most secured yet seamless ways of sending money abroad. Since we understand the value of time and the urgency of circumstances, we ensure that the remittance process is quick and the remitted money reaches the right hands. To carry out a money transfer online, all you are required to do is log on to the Thomas Cook website, follow the simple steps, and your money will be transferred almost instantly. Today, even though cybercrime is increasing, our intelligent technology and trustworthy network of instant money transfer service agents, like MoneyGram and XpressMoney, eliminates the risk of frauds. You can also visit the nearest Thomas Cook branch and our instant money transfer experts will assist you. No matter how small the amount may be or in which part of the world your recipient is, we make sure that the money reaches them on time and without any hassle. Remittance can be done in various payment types. We leave it on you to choose an option that best suits you. What distinguishes us from others is our years of commitment towards our customers and transparent processes. Travelers, especially business travelers and students, from around the world rely on us for all their travel, forex, and money exchange requirements. Next time you want to send money abroad, choose only Thomas Cook. Still have concerns regarding our remittance service? Speak to our money transfer expert now and benefit from our seamless and swift money transfer service. At Thomas Cook, we strive to provide the best foreign exchange rates so that you get the best of deals for your valuable currency. Remittance can be done via various payment methods and it is up to you to choose the best option that suits you. With Thomas Cook’s money transfer online facility, you can quickly send the required amount to any person across the globe from the comfort of your home. International money transfer has never been this easy. Through our reliable network of money transfer service agents like MoneyGram and XpressMoney, we ensure that your money reaches the correct person anywhere in the world as quickly as possible. Now you never have to worry about your son or daughter falling short of cash, because you can immediately log onto our website or walk into the nearest Thomas Cook branch, and transfer money to them so that they don’t face any hurdles and achieve their dreams without any hassles. Read about things to know before transferring money abroad & the tips for saving money on international money transfers on Thomas Cook Blogs. So the next time you want to send money abroad, make Thomas Cook your one and only reliable destination! I have been sending money to my kids for a long time now. And currency remittance through Thomas Cook is really convenient. 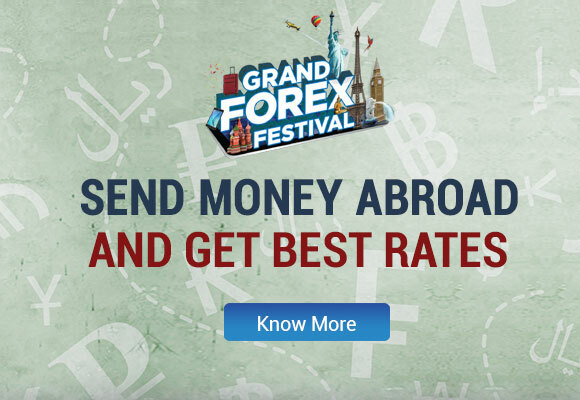 I can vouch for their forex services. You can completely rely on Thomas Cook for their remittance services. Thomas Cook’s quick and excellent remittance service quite reliable. 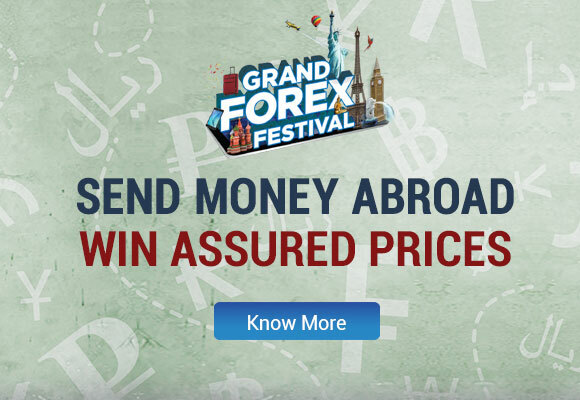 You are in safe hands when it comes to sending money abroad. They also gave me right guidance pertaining for the remittance process. Let us know about your experience,just by sharing your reviews. International money transfer: what is the safest way to send money abroad? The process of sending money abroad via money transfer platforms is called remittance. With Thomas Cook, sending money abroad is quite simple. Just walk into any one of our innumerable branches along with the documents required and the remittance amount. You can also request us to contact you and we shall let our expert executive's guide you through the process. What documents are required to money transfer online? You will need the following documents to send money abroad. How long does it take for the money to reach the beneficiary? How can the beneficiary collect the amount? When you send the money abroad, a unique reference code will be given to you and you will be required to provide the beneficiary's details. The beneficiary will have to provide proper ID proof as well as the same reference code to successfully collect the amount. How much foreign exchange is available for a business trip through Thomas Cook? For business trips abroad to countries, (other than to Nepal and Bhutan), you can avail of foreign exchange up to USD 25,000 per visit. Release of foreign exchange exceeding USD 25,000 for business travel abroad (other than to Nepal and Bhutan), irrespective of the period of stay, requires prior permission from the Reserve Bank. What types of trips are treated as business trips? Visits in connection with business, deputation by company, attending of an international conference, seminar, specialised training, study tour, apprentice training, etc., are treated as business visits. On my business trip abroad, what are the various ways in which I can carry foreign currency? At Thomas Cook, we provide you with various options for your convenience and ease of use. You can choose from Foreign Currency Notes in 26 different currencies* for immediate and small needs, get a Prepaid Forex Card (8 different currencies) for safety and convenience or even get a Travellers Cheque (6 different currencies). Since we understand you may have higher foreign exchange needs, we recommend carrying larger amounts in a Prepaid Card or Travellers Cheques. My business trip abroad is 45 days away. Can I buy Foreign Exchange now from Thomas Cook? At Thomas Cook, you can get Foreign Exchange upto 60 days in advance of your trip. In case, you do not travel during that period, the foreign exchange should be surrendered to Thomas Cook. For my business trip abroad, can I pay for my Foreign Currency in cash? No, you need to pay for your business trip using funds from your business account. A travel visa is a travel document which conditionally allows a person to enter or leave the region for which it is issued. A visa application in advance of arrival gives the country a chance to consider the applicant's circumstance, such as financial security, reason for applying, and details of previous visits to the country. A visitor may also be required to undergo and pass security and/or health checks upon arrival at the border. Do I need a visa for travel? It depends. An Indian citizen will get benefit from many favourable travel arrangements with countries around the world. For several countries, you will need a valid travel visa in order to enter. Does it cost to have a visa processed? It depends. An Indian citizen will get benefit from many favourable travel arrangements with countries around the world and the fee may be waived off. In other circumstances, one will have to pay for the visa. This depends on the country you’re visiting. Some visas will be issued the same day; others can take weeks (or even months) to process. What are the different types of visa? How do I get a travel visa? What is the process of online visa booking on thomascook.in? #What is the process after I have finished booking my visa application ? #How can I track my visa status ? #What is the minimum processing days for visa application?